Hood To Coast takes on the High Desert! The creators of the Mother of All Relays and the most popular relay race in the world bring you another epic Oregon relay. 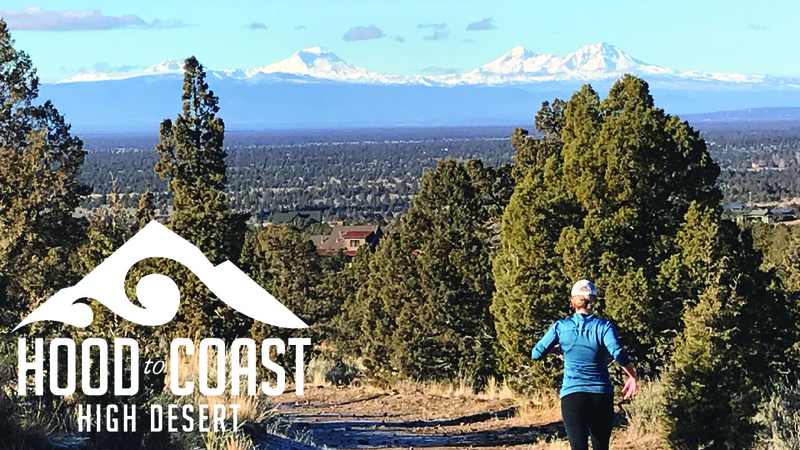 Hood To Coast High Desert, just 25 minutes from Bend, will showcase the scenic Cascade Mountains, Smith Rock, Prineville Reservoir, and the Crooked River. Every leg is spectacular! Hood To Coast High Desert is a one-day, one van, six-member race featuring all the sought-after aspects of the original Hood To Coast Relay. But guess what? No sleeping fields, no major exchanges, no running in the middle of the night, and no need to take Friday off work. Each team of six will run 71 miles (or walk 47 miles) with every participant completing two legs of the race. Participants get to leave the city behind with each leg showcasing something special, like majestic mountains, big clear skies, and after a day of traversing the high desert, enjoy the “Best Resort in the PNW”. For the past three years, Brasada Ranch has been named the Best Resort in the Pacific Northwest by Conde Nast Traveler. Just like the original Hood To Coast in Oregon, the Central Oregon experience brings together teams to conquer a breathtaking course, and create a life-long bond.